We’re big fans of Toast The Macallan; the inaugural event in Singapore last year saw global brand ambassador Kieron Elliott in town to host a series of fun public whisky tastings at Marina Bay Sands over two days, as well as introduce its then new 1824 Master Series – Reflexion to the Singapore market. This year’s Toast The Macallan will be somewhat different; firstly it’s extended from the previous two days to four days this time round. And while Elliott won’t be in town to host this blockbuster whisky event we’ll have The Macallan brand trainer Keith Krsna Nair, The Macallan brand advocate Randall Tan and award-winning tastemaker and sommelier Gerald Lu to guide participants through the series of tastings. While there are standard whisky tasting sessions, this time round there are also a limited number of special premium tasting sessions for serious whisky connoisseurs. the focus of this year’s event is the new The Macallan Edition No. 1, which will be officially introduced at Toast The Macallan. 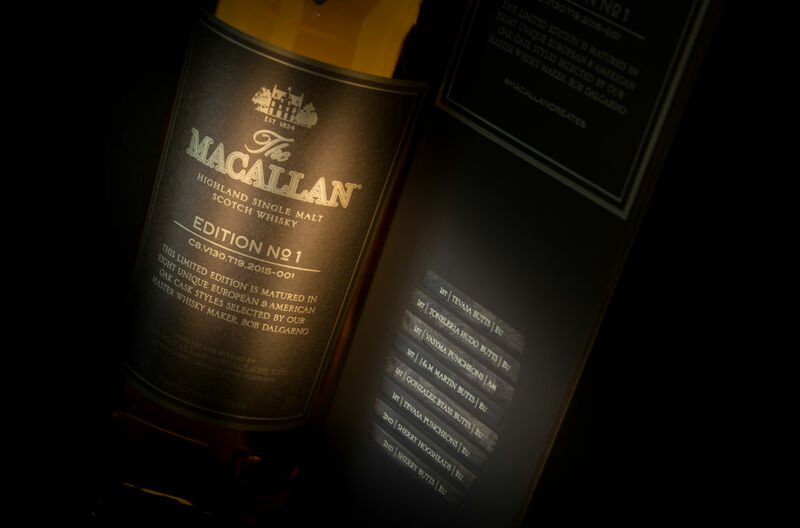 This expression is the first of a new, limited edition series to be released annually, specially drawn from eight European and American oak cask styles as selected by The Macallan’s master whisky maker Bob Dalgarno. “With the increased market interest in single malt Scotch whisky across Asia, Toast The Macallan is the perfect platform to forge a deeper connection with The Macallan and ignite passion amongst the aspirational whisky consumers, including the uninitiated,” says Geoff Kirk, Managing Director of Edrington, South East Asia. Executed in the form of a restaurant bar takeover, guests will be immersed in the fully transformed The Black Swan space through a multi-sensory journey in the world of The Macallan, including a specially created “decompression room” set in a forest environment in The Black Sawn’s The Powder Room to “neutralise” your senses to prepare the palate for whisky tasting. Sounds invasive, but we’d do it for a taste of The Macallan Edition No.1. For more information on Toast The Macallan, please visit the Toast The Macallan website.